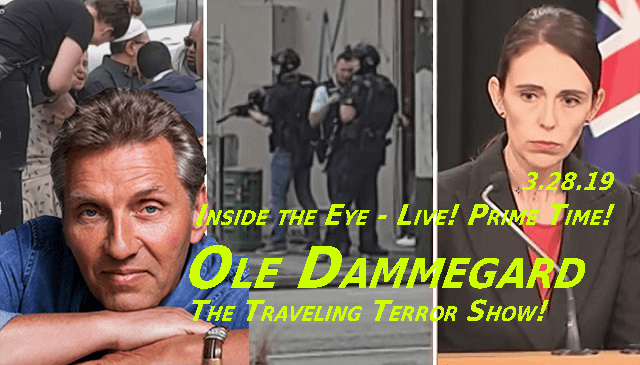 Christchurch -Traveling Terror Show | Inside the Eye - Live! 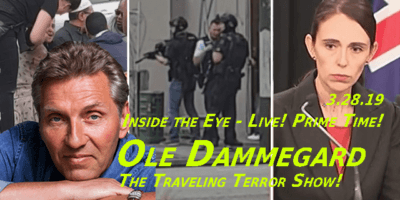 Ole Dammegard, one of the foremost experts in deconstructing false flag events, visited Inside the Eye – Live! Prime Time! 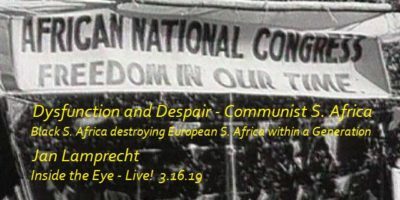 for Thursday, March 28, 2019, to discuss the Christchurch, NZ “shooting event”. Ole Dammegard was awarded the Prague Peace Prize, was adopted by the Apache Nation, and is an author, international speaker, former journalist, musician, artist and investigator, who has dedicated the last 35 years to researching many global conspiracies. Ole was invited on to Inside the Eye – Live! to provide alternative ideas and insights on the recent Christchurch shooting event, and Ole did not disappoint. In brief, Ole put forward the idea that Christchurch was a type of “hybrid terror event”, meaning that the release of video and related sales material from the perpetrators was put out for the express purpose to muddy the waters and even to discredit alternative media and citizen investigators as they put out the story line that the Christchurch shootings did not happen. Ole is of the opinion that, barring any real facts being released from the rather secretive governments responsible (in theory) to the people for the security of the people, that there were perhaps two layers to this event: an actual shooting with real people dying combined with a “traveling terror show” production event where images and story lines could be fabricated under controlled conditions. Of particular interest is the now known modus operandi wherein state actors are often conducting parallel “drills” that enable these state actors to sweep the streets clean, essentially providing security for the event in order to ensure that the event can be pulled off without external eyes (witnesses) able to tear apart the narrative before the narrative can be impressed on the minds of the unsuspecting and gullible public. 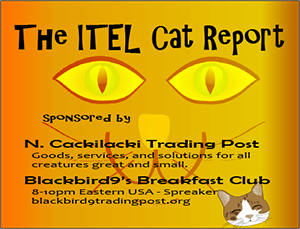 To get the real feel of what Ole is putting forward regarding “the traveling terror minstrel show”, give this interview a listen. To View Ole’s website, Light on Conspiracies, CLICK HERE. To support Ole Dammegard via Patreon. CLICK HERE.